Manipur has been abundantly blessed with gurgling rivers, emerald mountains, rolling meadows, and foaming waterfalls that completely paint the picture of this surreal Northeast Indian state. Amongst the many magical essences in this tourist destination are the picturesque waterfalls. Yes, the stated is dotted with this gorgeous gift of nature and there is no denying that they are the top nature tourism destinations to see. In Manipur, the River Barak and its tributaries traverse the forested regions and along their path these rivers form some of the most exquisite waterfalls. The district of Tamenglong is one of the travel destinations in Manipur that has popular waterfalls. There are seven waterfalls in a sequential form at close range in the Tamenglong district that must be visited as a nature sightseeing places. Amongst the most popular waterfalls in Tamenglong is Barak Waterfall. The highest waterfall in Manipur is situated on the Indo-Myanmar border - Khayang Waterfalls which cascades from the height of 754 ft. A week-long trek is required to reach this one of the top places to visit. The second highest waterfall in Manipur is situated in the remote Ireng Village and is named after the place itself. The most visited waterfall in Manipur is Sadu Chiru also known as Leimaram Falls that is situated close to Imphal in Senapati District. Leimaram is an ideal picnic destination with its surroundings filled with a variety of flowers. 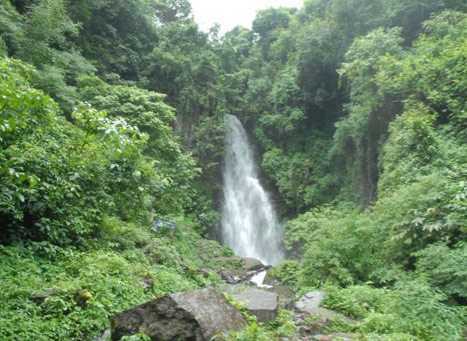 The two tourist destinations of Bunning meadows and the Tharon caves are closely situated by the series of waterfalls which are perfect for sightseeing tours. The Khoupum Waterfall in Khoupum Valley, Ngaloi Falls in Ngaloi Village, Dilily Waterfalls, Bro Waterfall in Chandel, Ishing Thingbi waterfall in Senapati, and Alng Takhou waterfall in Tharon Village, again in Senapati District are other must visit places in Manipur.